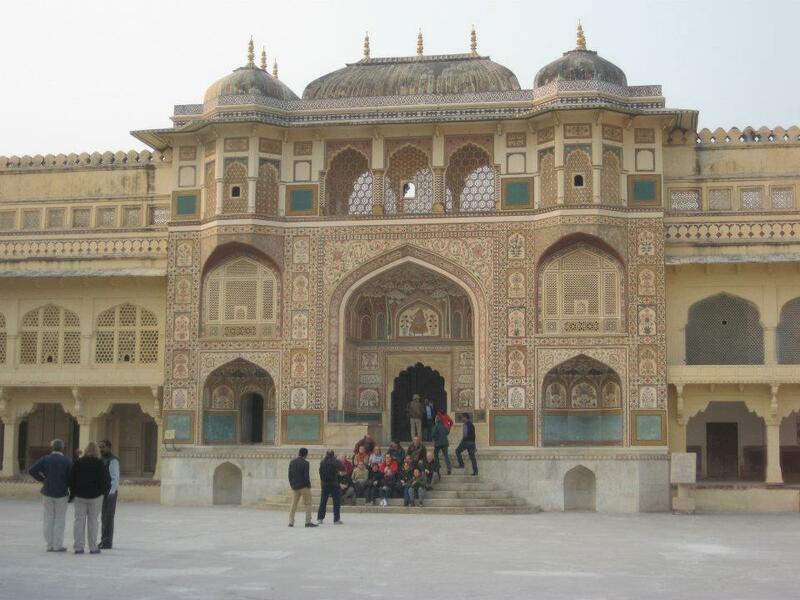 For first time travelers to India, the most popular and seemingly simple route is a geographic triangle: Fly into Delhi, then go to Agra and see the Taj Mahal and possibly Agra Fort and Fatehpur Sikri, spend a couple of days in the Pink City of Jaipur, and then go back to Delhi for the return flight. However, in India, what seems simple is unnecessarily complex. Here is a more detailed guide of logistics to make your trip effortless. 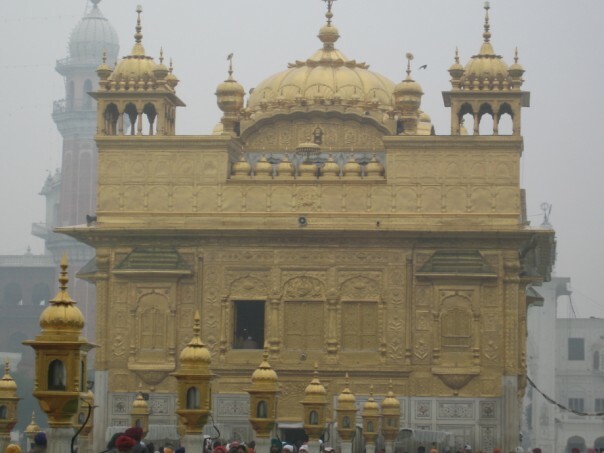 Until very recently, India was one of the most difficult countries in a world for acquiring a tourist visa. Years ago, inefficient consulates handled the task. Eventually, a third party operator named Travisa was hired, and though it had its problems, seemed to be doing a reasonably well, until last year a new operator named Cox and Kings was hired, and to date for the most part has done a horrid job overall, though recent reports claim services have improved. Thankfully, last year India announced that it was finally starting an e-visa program, which is similar to Turkey’s, in which a person applies online, pays a fee of $60 (though recent reports say the fee will be reciprocal with other countries’ fee in the future) and is given approval quickly via e-mail. This printout simply needs to be shown upon arrival in India and then a 30 day visa is processed for the visitor. The thirty day limit covers the vast majority of tourists (those who want 5 or 10 year visas or other types of visas still have to apply the old way), and the ability to avoid having to go to or mail confusing applications with documents to an operator who has lost hundreds of passports is a welcome relief. Currently, the e-visa program covers 113 countries, including the three nations with the largest Indian diaspora: the United States, Canada, and the United Kingdom. 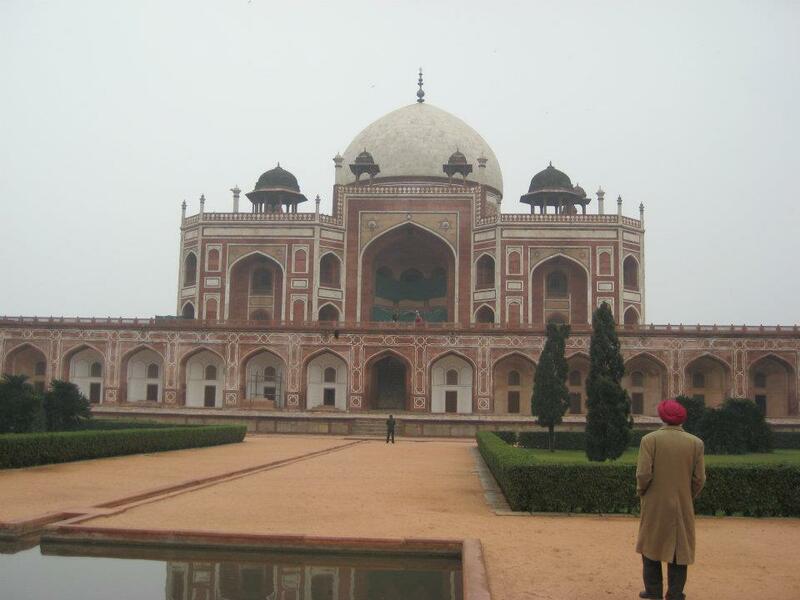 For my recent trip to India, I found a reputable tour operator named Deepak Sharma of Sudarshan India Tour, who helped with the trip immensely. He arranged for a car to pick me up from Delhi airport and take me to the hotel, a local tour guide to show Delhi for two days, along with a driver for one day, and a car and guide in Agra as well for the Taj Mahal and Fatehpur Sikri (though Agra Fort is an excellent second option as well). Also, I had a driver drop me at the airport for the return flight, and dropoff and pickups at the Delhi and Agra railway stations (more on India’s train travel later). I recommended this same operator to friends who used him for Jaipur as well, and gave me excellent feedback. 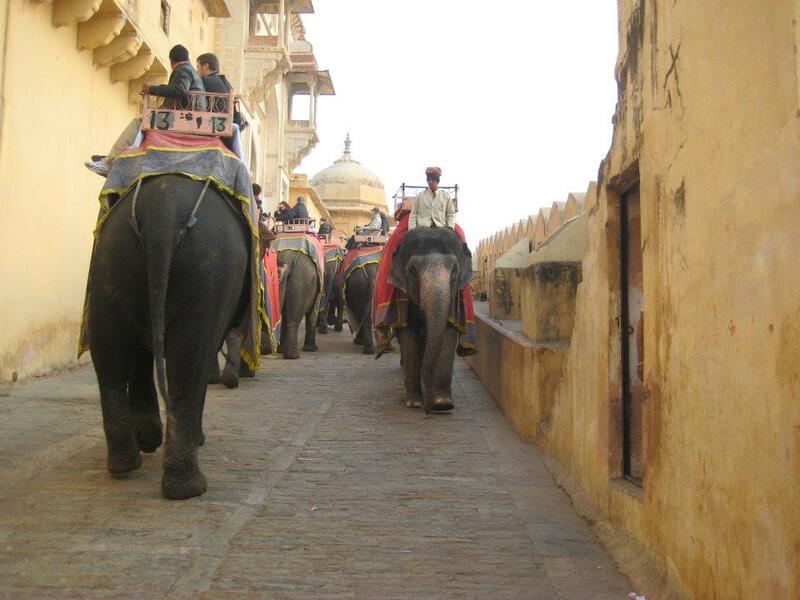 The rates for guides and drivers are extremely reasonable by Western standards, and frankly without help in India, you will be lost in a chaotic environment. The safest, fastest, and most convenient way of traveling between cities in India is by rail. Traveling by road in India is an ominous proposition, and usually a harrowing experience. However, navigating this system is immensely complicated to someone with no background knowledge. I spent two months figuring it out, and now this has become very useful helping friends and family, and now, TravelWithVik readers. 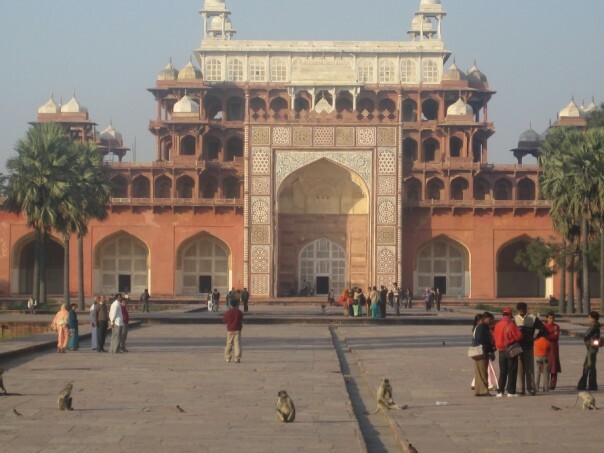 To travel the golden triangle, the easiest way to go between Delhi, Agra, and Jaipur is via Shatabdi train. Shatabdi is the name of India’s fastest, most comfortable, and most reliable coaches. There are two classes of travel, A/C chair car and executive. The difference is that chair car has rows of three and three, while executive class has rows of two and two. You are fed an array of food in both classes (service in India is truly royal). The difference in price is nominal by western standards, chair car tends to be 5 US dollars and executive class is around 20 US dollars. From Delhi to Agra, the best train to take would be the 6 AM Shatabdi train from the New Delhi Railway station. It is a madhouse of people everywhere, but keep your cool and make sure to have your driver take you to your train and arrange rates with baggage handlers, called coolies, who load your bags on the train. Without someone to help you negotiate, you will be taken for a ride. This is the fastest train in India, traversing in only two hours and six minutes. A schedule of all Delhi to Agra trains is available here. However, as stated before, taking a non-Shatabdi train is a risk, as Shatabdi trains tend to be on time and also have priority on tracks, and have better technology to travel through fog, which is a nuisance from mid-December to mid-January. 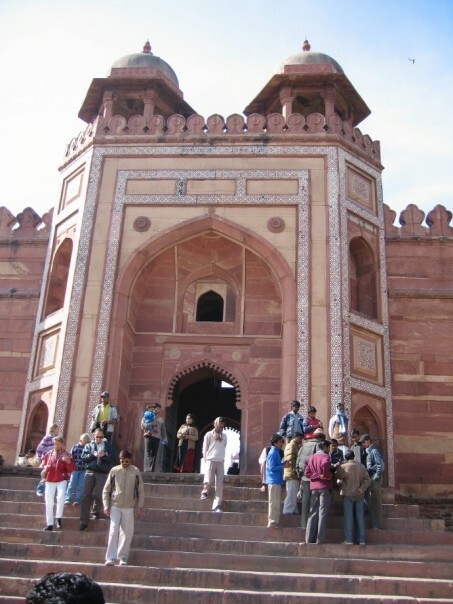 From Agra to Delhi, the 5:40 PM Shatabdi from the Agra Fort train station (NOT the same one as the one you arrive at, which is Agra Cantt) is the best bet, as frankly, besides the Taj Mahal and Agra Fort, there is not much to see in the city. It is a heavily polluted, congested city. 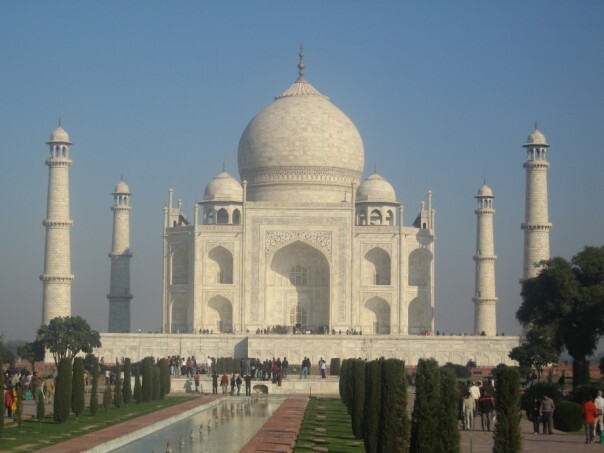 Also, please note that the Taj Mahal is closed on Friday. 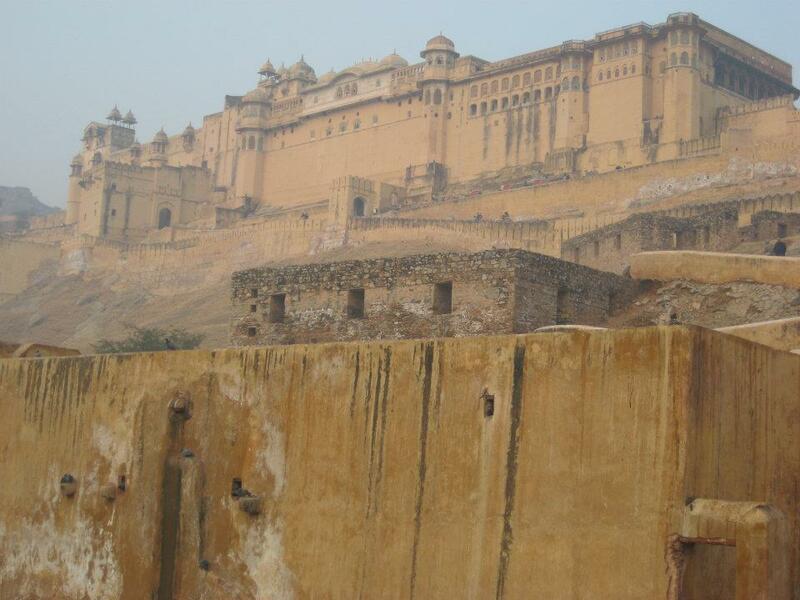 The journey from Agra to Jaipur is a three hour, forty minute journey. The full schedule of Agra to Jaipur trains is here. The Shatabdi train from Jaipur to Delhi leaves at 5:50 PM, and is a four hour and fifty minute to New Delhi Railway station. A full schedule of Jaipur to Delhi trains is here. A good tour operator will have a person and driver waiting to pick you up and negotiate rates with baggage handlers as well, as being alone late night at an Indian train station is not advisable. Avoiding the handlers is impossible, as they make their living this way, and won’t let you go without using them. Their rates will probably higher for Westerners, but in perspective are very reasonable. Also, they are given limited shifts, in Delhi they only work two hours a day, so this money helps them get by day to day. Purchasing tickets is actually quite difficult, but once you have the proper access it’s simple. The best way to purchase tickets involve a series of steps with Cleartrip.com, a well-known Indian booking portal, and the Indian railways website. First, set up an account on ClearTrip.com. Then attempt to make a dummy booking, you will be asked to set up and Indian Railways account. For the phone number, simply enter a dummy number that starts with a 0, and a six digit dummy code for the postal code. You should be sent an e-mail noted that you successfully registered. However, since you most likely do not have an Indian phone number, you will not have been sent the password that is sent via SMS. This password is needed to complete registration. To get this password, simply send an e-mail to care@irctc.co.in and wsoperations@irctc.co.in with a scan (preferably color) of your passport explaining that you have a user name but you need your password sent by email. A response should come within 24-48 hours. Once you receive this password, go back to your initial successful registration e-mail and use this along with the e-mail password to activate your account with the given activation link. Now your Indian Railways account should be active and your ClearTrip account should be linked to it. After all this, purchasing tickets on ClearTrip.com should be straightforward. However, there are two periods of time when you can not purchase tickets: From 8 AM – 12 PM Indian standard time and from 11:30 PM – 12:30 AM Indian standard time. This is because from 8-12, ticket purchasing is blocked for outside users, and from 11:30-12:30 AM the railways site undergoes daily maintenance. Sometimes, you may have problems booking on ClearTrip. Frankly, the best recommendation is just to try again in a few hours or the next day. One must keep in mind that this is the largest booking system of any kind in the world, so hiccups are to be expected. Also, when you successfully purchase your ticket, print it out, as conductors will ask for a printout, and also have some form of identification on you to present along with the ticket. For more detailed information on India’s train system, check out the excellent description by Seat61.com here. The best way to get currency in India is by far ATM machines. ATM’s are available everywhere throughout major cities, sometimes many in one block. Note that withdrawals are usually limited to 10,000 rupees. There are also currency exchange offices, but their rates are not as good as ATM machines. It’s beneficial to have an ATM card that has zero or limited withdrawal fees worldwide. Also, credit cards are accepted in major hotels and stores. Make sure that your card has a chip, or it probably won’t be accepted. Also, one that doesn’t have foreign transaction fees, such as the Chase Sapphire Preferred, will save a lot of money as time goes along. Finally, ALWAYS demand that your payment is made in rupees. Many times, hotels and stores will charge you in dollars, attaching a percentage fee called a currency exchange rate, usually around 3-5%. This is a trick to extract money out of foreigners that simply don’t know any better. Unfortunately, this seems to be spreading worldwide as of late. Be very careful with the food that you eat. In particular, meat should be avoided, except at maybe a world famous place such as Karim’s in Delhi. Also, curries are dangerous also, as many times restaurants use the same curry for days. Street food is risky too, as there is no sanitary standard. The safest places to eat are well known high-volume vegetarian chains such as Haldiram’s in Delhi, Sikh gurdwaras where food is prepared fresh daily, or roadside restaurants called dhabas where food is prepared in front of your face, and of course, the best is a home cooked meal if you are lucky enough to know someone local. Also, international chains such as McDonald’s are also a safe bet as they have to uphold international standards. Train food is usually okay for breakfast, but lunch and dinner are a risky proposition. Most importantly, drink bottled water. Never, ever drink tap water, or any food or drink that uses tap water (such as the lovely snack gol gapas). This is a quick way to ask for immediate stomach problems. FINAL TIP: Enjoy yourself! Now that you have the knowledge of logistics, enjoy your trip, as India is truly a place that will bombard your senses from all sides. Also, prices for almost everything are astonishingly low by Western standards, so it is a bargain destination. Take precautions, but don’t worry too much, and enjoy a destination with ancient culture that is at the same time quickly modernizing. Great Post! So much valuable information detailed in such a brief write up. Thank you! your travel article is wonderful and very helpful . Please give an approximate cost of YOUR services,as outlined, from Mr.Deepak. Thanks. Good article, but please also note that the fastest train between Delhi & Agra is Gatiman express and not Shatabdi, you can update in your article.